Depending on the pain itself, the area and physiology, there are certain adjustments that need to be made. Though overall principles of practice remain same ( explained below). What we really miss is deeper and correct understanding about the back pain itself. If you commuting more than 30 minutes for your office and then sit in front of your computer for more than 6-7 hours, it is a matter of time that you will have back pain issues or in severe cases shoulder freeze too. Even most ergonomically designed chairs are effective only to a point. After some time, there is bound to be a time when you simply slouch. Or sliding hips little away from backrest to rest against the backrest. To put it very mildly, within last 6 months, if you had any issue of stiffness or pain in the back, while in the office or just after the office, then you need to know about what you back is going through. Read:- TOI study, your sitting posture maybe affecting your spine. Similar issues are also possible when you use the standing desk as it is the trend in many startups & modern work culture. Yup, you read it right. Even standing desk can also cause lower back pain. 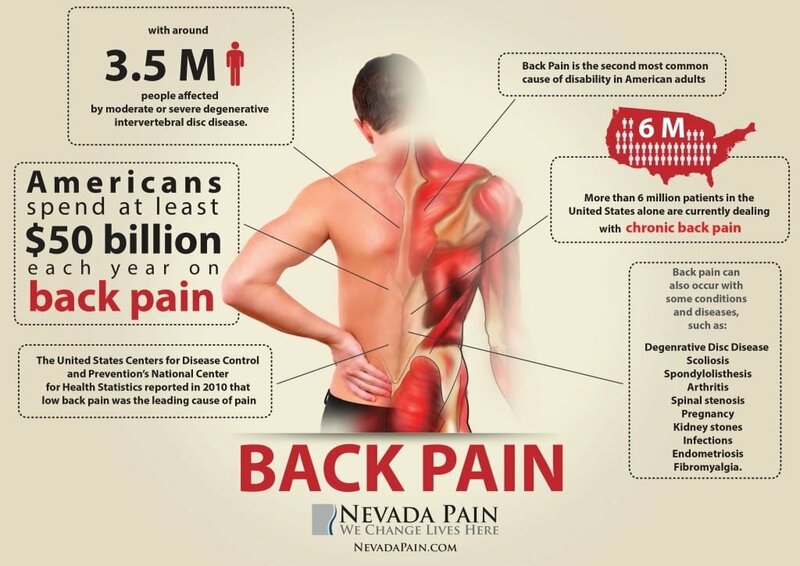 Though this data is related to back pain issue in the US, it is equally relevant to India too. At least this what I have observed in all the corporate classes that I teach. Besides, it is not only the pain itself that is the issue. It also leads to discomfort while doing important things, not letting you enjoy the time off, general restrictions of movements, either by the pain or by the doctor. Th fact is, chronic pain in back is an inhibitor. It restricts us from carefree living. You are always careful when moving around. And it is irritating unlike anything else. What you need is something that can take care of it, once and for all. The first reason is posture. Mainly it is a wrong posture held over an extended period. It’s how we hold our posture of sitting (& standing too), that is causing the issue. There is no issue with the act of the sitting or standing itself. Let me clear one thing: It is not sitting or standing position that is the cause. Our back is quite rugged to take us through the day with ease. It is what you do when you are sitting or standing for long times. You see, depending on which city you are living in and where ( & how far you travel for your work), there is always going to be certain stress on your back. This is not something that will change. At least not any time soon. And even it does, travel and sitting are not the only things your back goes through. Many times we hear back pain from fairly active people too. Thus, it is what you `do’ to counter this stress on your back, that makes all the difference. One of those things is the posture itself and the other is the regular practice to keep the back in healthy shape. The wrong posture puts pressure on the body joints and muscles. Like if you sit with little slouch forward, it puts undue stretch and weight on your lower back. It takes an effort to keep your head and shoulders in that angle and that effort is being done by your back. Now, there is a way to understand this. Don’t be a perfectionist about the posture. What you need to understand is that whenever you can, you choose to sit in a good posture. Or at least, you get up and move away from your desk for some time to get the blood flowing. Similarly, regular practice helps in prepping your back for the day as well as remove any stiffness that happens due to strenuous word routine. Regular practice of asana postures also improves the muscle toning, blood circulation & overall nourishment of the entire back. It is similar to brushing your teeth every day in the morning. You do that once in a day (or twice) and that takes care of what you eat all day. The second reason & more important reason is lack of relaxation. Most of the times the cause is that our back and shoulders are simply tired. They are not designed for work for so long in such a restricted situation and get little to no proper rest. There are high chances that your back and shoulders are not getting adequate rest. A proper rest is a proper rest. Not sliding down on your bean bag with headphones on your ears. That is just shifting from one posture to the other. Your body needs to rest to heal itself. Sleeping is one form of rest, but in today’s scenario, our sleep is mostly not what it used to be. Studies are being conducted on how using our mobiles right before we sleep is affecting the quality of our sleep. Lack of proper sleep leads to a body which is not ready for the next day. And the day next to that. But we have to slug on. Accumulating all the tiredness in our body, over time. Most likely aggravating into pain too. There are papers & books by different experts stating that lack of rest makes our mind anxious, irritated & sometimes angry too. This also adds to the pain in the back, shoulders & neck. Can yoga help in curing the back pain? Yes, it can. What it still requires is proper knowledge about the pain in the back & how to deal with that. So, let’s jump to why & how yoga is helpful in curing back pain? We just talked about the effect of stress on us and on our posture in general. Actually, stress is part and parcel of our life. Sometimes you are able to sort out the stressful situations by being aware of them. Then there are few which you simply can’t ignore or solve. Moreover, as we just read, stress alone is not the reason. Inadequate rest is also guilty. And in the mix is bad posture. This is where Yoga as a lifestyle choice to counter the effects and being healthy comes into the picture. The studies have shown that yoga is helpful in helping our bodies to handle stress and also to a great extent, counteracting the effects of stress on our body. Now, this is because the way a properly designed class of yoga works on our body. You see a well-designed yoga class is based on the principle of the gentle stretch of appropriate muscles & joints, holding the stretch, adequate focus on breathing while holding and then releasing the stretch. It ends with a complete relaxation in savasana. Such effects, over time, are more than enough to allow your body to heal itself. This is an important concept to understand, our body is designed to heal itself from normal wear and tear of our life. Both physically and emotionally. But, this healing process requires proper exercise( asana & pranayama), proper rest, proper breathing patterns and good nourishment. As I have mentioned in other posts, a proper yoga class can make you feel better right from day one. Which means you back & shoulders start feeling better from day one. But it takes some time for these benefits to heal you completely. Important: Please don’t practice without learning these postures under the guidance of a competent teacher. Asana practice is physical science in itself. It requires a teacher to observe and teach you the proper way of practice. These postures are for reference. Back pain doesn’t just include a little bit of pain that happens sometimes, in this post, I am also referring to chronic pain in the back too. This also includes sciatica, cervical and other clinically diagnosed problems in the back and shoulders. A planned practice with proper understanding can cure even a nearly immobile back. So, yeah for normal stiffness that you sometimes feel in the back, lower or middle area of the back. Or that discomfort in the neck and shoulder can very well be managed with regular practice. An important to remember:: In case of a serious ailment like severe back pain for an unknown reason, a clinically diagnosed serious issue in the back, don’t just read a couple of books or watch a couple of videos and self-medicate about asana practice. It requires a trained teacher with in-depth knowledge and enough experience to work on a serious ailment. One of the common mistakes I have seen anyone makes is either to stop moving for the fear of pain or go to other extreme and push yourself to exercise more ( to make muscles stronger). Both extremes are wrong. What you need is the balance. Don’t stop moving for the fear of pain. Yes, this is difficult, but your body will heal, adapt itself only when there is a constant requirement of using that body part. Which in this case is your back. By now moving, you are sending signals to your brain & body to not to put an effort in healing that body part. Keep up your normal activity. Don’t ask for random advice about twists and turns you can do to heal the pain. It doesn’t work that way. Any pain in the body can be localised but the reason for same can be somewhere else. It needs a holistic approach to heal the body and relax the mind. Most of the chronic pain in the back, shoulders, neck area can be healed permanently with proper guidance. This much is certain. To be able to live your day without being cautious of your movements is something worth it.